One of the largest deciding factors in our family’s resort selection for our Disney trips boils down to location. As my children have grown into the teenage and young adult years, we’ve found the Epcot resort area to be our all time favorite area to stay at the Walt Disney World Resort. 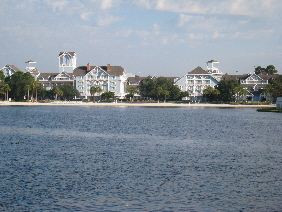 We especially enjoy Disney’s Yacht and Beach Club Resort which not only offers a luxurious, upscale stay, but also gives guests amazing amenities and the convenience of a variety of transportation options to the parks. Upon entering the Beach Club, the bright lobby and soft floral colors take you back to a seaside beach resort of days that are long gone by. The Yacht Club offers a more formal atmosphere with dark, rich woods and the nautical theme of an upscale marina. Each resort exudes its own individuality and feels like its own entity when, in fact, the Yacht and Beach Club are sister resorts where guests are entitled to double the amenities. 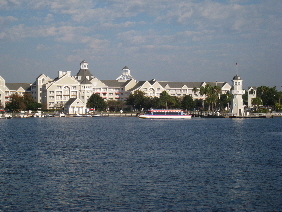 Epcot and the Disney Studios are both within walking distance of each resort, although both parks are also serviced by boat launches which offer a unique, fun way to travel to those parks. The Magic Kingdom and Disney’s Animal Kingdom can be reached via Disney’s motor coaches, but a fun way to hop to the Magic Kingdom is by making the jaunt through Epcot to the monorail (keep in mind the park hopping option on your ticket media is a must in order to do this). Rooms at Disney’s Yacht and Beach Club are well appointed and most sleep up to 5 guests. While similar in size, décor for each differs as the beach and yacht theme is carried throughout each resort. Pay particular attention to the carpets throughout the resorts for Hidden Mickeys as well as other Hidden Disney Characters. Water views are a special treat at both resorts and during one of our recent stays at the Yacht Club we were afforded a wonderful showing of Illuminations at Epcot to enjoy from the privacy of our balcony – it’s worth the splurge for a room with a view here! Ask housekeeping for nightly turndown service for a warm return to your room each evening including chocolates on the pillow. Dining options are abundant at the Yacht and Beach Club. Interested in one of the best steaks on property? Splurge by dining at the Yachtsman Steakhouse for one of the most amazing signature dining experiences ever. Looking for a fun character breakfast? Cape May Café at the Beach Club is one of the best character meals onsite with Minnie and friends decked out in beachwear and ready to sit at your table to help your kids with their meals, sign autographs and carry out silly antics. And have you ever felt like you’ve eaten everything but the kitchen sink? At Beaches and Cream you can eat that Kitchen Sink – it has scoops and scoops and more scoops of every ice cream flavor with every topping imaginable. My family of 5 had it for dinner one evening and we couldn’t finish! If you are looking for recreation look no further than the Yacht and Beach Club’s incredible mini-water park called Stormalong Bay, exclusive for the use of the resort’s guests (bring your room ID). With waterslides, a jetted water area, waterfalls and vast swimming areas arising out of a massive shipwreck you may find yourself spending more time here than actually touring in the parks. And yes, that really is sand at the bottom of the pools! If a quieter pace is more your style, each resort also offers a quiet pool secluded away from the hustle and bustle with a hot tub. Tennis, jogging trails and sand pit volleyball are also fun options for those seeking an active resort experience. An amazing resort in an amazing vacation destination makes the Yacht and Beach Club a favorite for everyone! Prince Charming Regal Carousel – What’s in a Name? Steve Baker “grew up Disney” as his parents lived near Disneyland in Southern California when he was born. He began vacationing at the Walt Disney World Resort when he was 8 years old and Steve, his wife and three children now travel annually to a Disney destination (with over 30 trips on record now). Steve and his family have enjoyed traveling across the states, sailing the Caribbean and trekking through Europe . 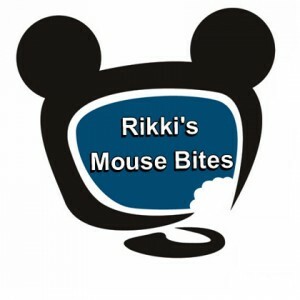 He is an Advanced Graduate of the College of Disney Knowledge and was invited to participate in Disney's very first agent program aboard the Disney Cruise Line, exclusive to only top travel consultants. Steve also carries a Universal Studios Specialist designation and has completed extensive coursework on many major cruise lines. Steve has a work hard, play hard mentality and has a strong passion for assisting his clients to make the most of their valuable vacation time and dollars. Steve's mantra is that life is too short to spend it working in an office cube – there is a big world to explore!